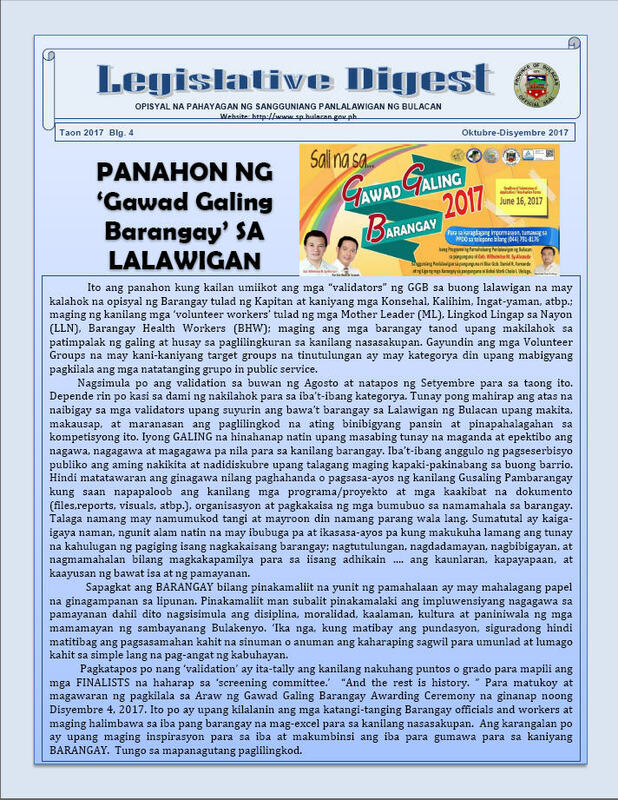 To reach out to its constituents, the Sangguniang Panlalawigan uses several tools that are proven effective to get the citizenry, be it the private sectors or the civil society groups, involved in legislative decision making. 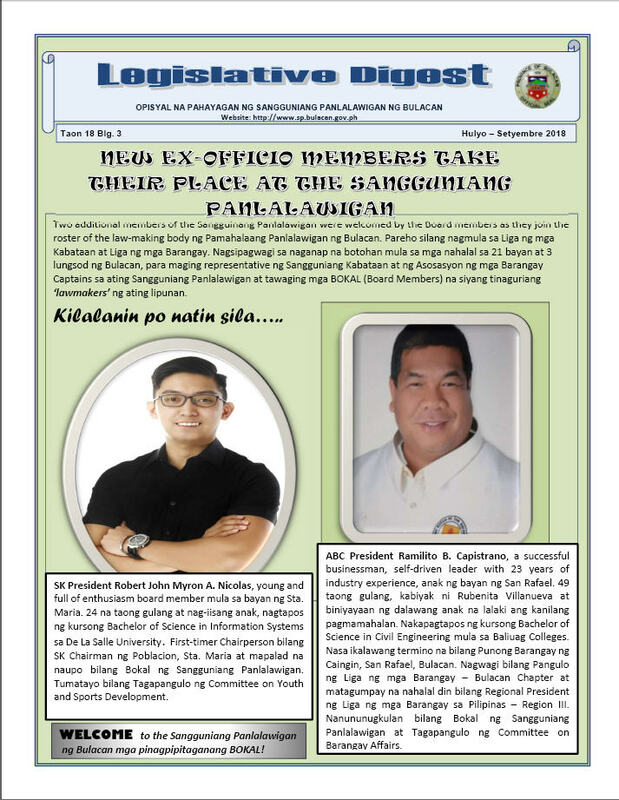 These tools, which can also help raise public awareness about the work of the sanggunian, and enhance the public image of the sanggunian, and consequently of politics and politicians in general, include newsletter, radio broadcast and website among others. 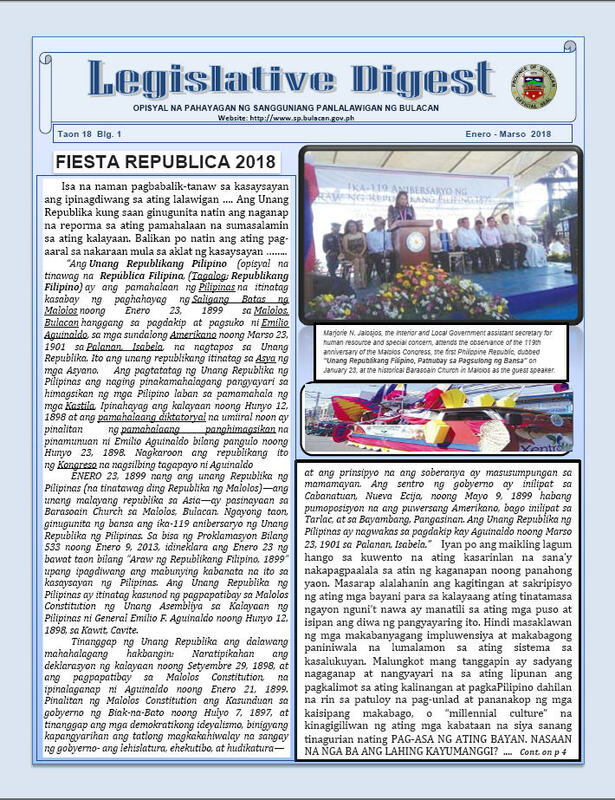 One of these tools utilized by the Sangguniang Panlalawigan is the "Legislative Digest", a computer-generated quarterly newsletter of the Sangguniang Panlalawigan, which features legislative enactments and policy decisions, plus highlights of significant activities and programs. 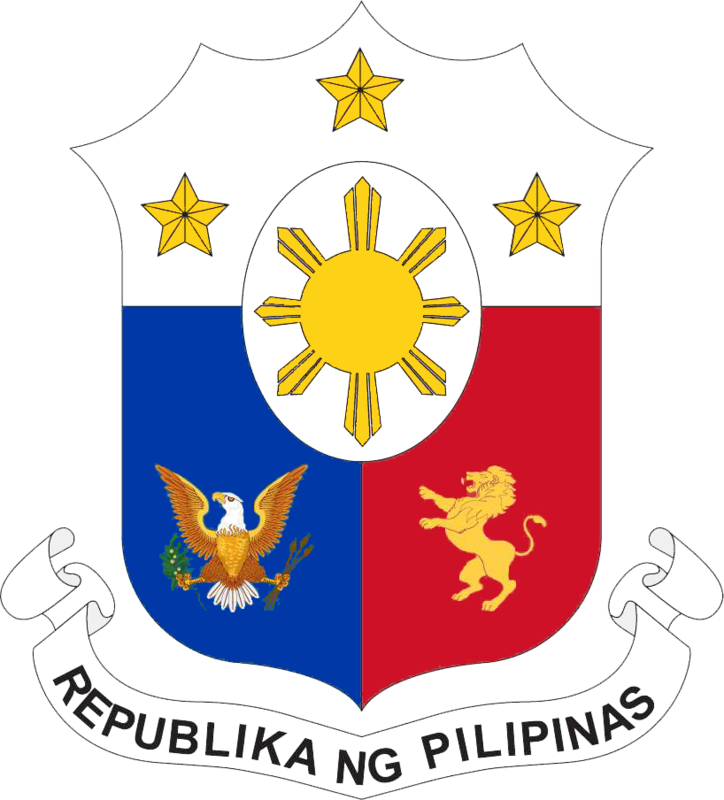 In parliamentary language, a "legislative digest" is in reality a summary of the legislative measures acted upon by a legislative body. 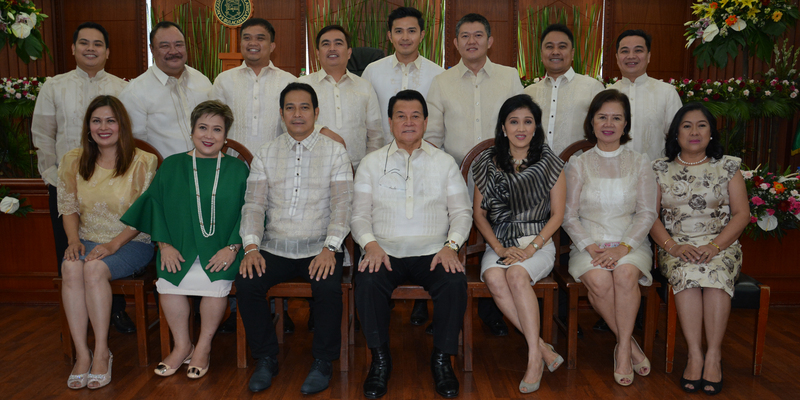 Thus, one of the features of this encapsulated publication is the listing of the recently approved and enacted resolutions and ordinances by the local legislature. 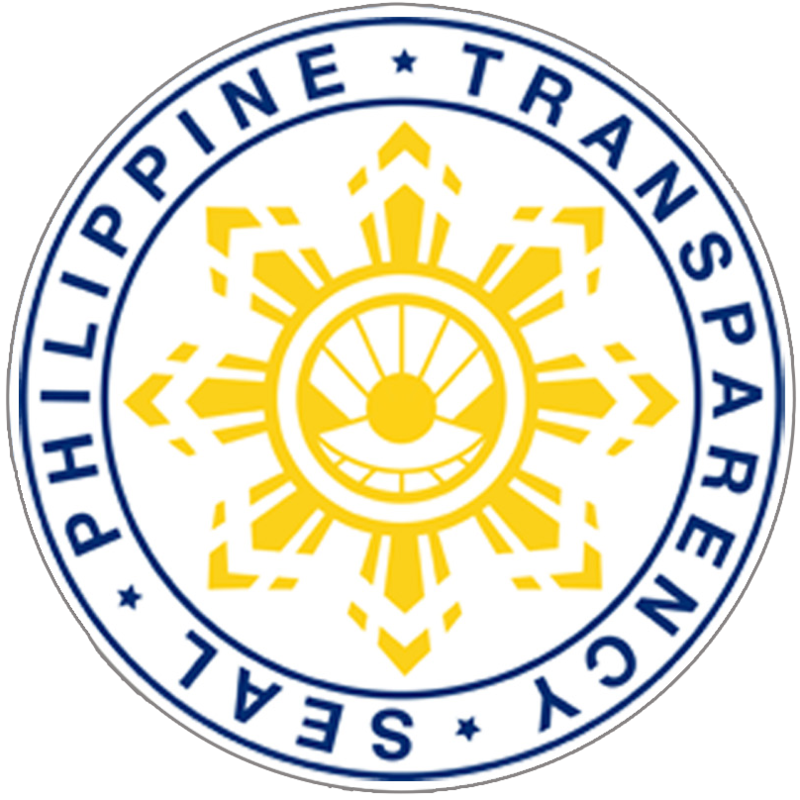 The Sangguniang Panlalawigan's Legislative Digest first came to light in 2002 when the then 4th Sangguniang Panlalawigan implemented this project as stated in its Legislative Agenda Calendar for 2001-2004. 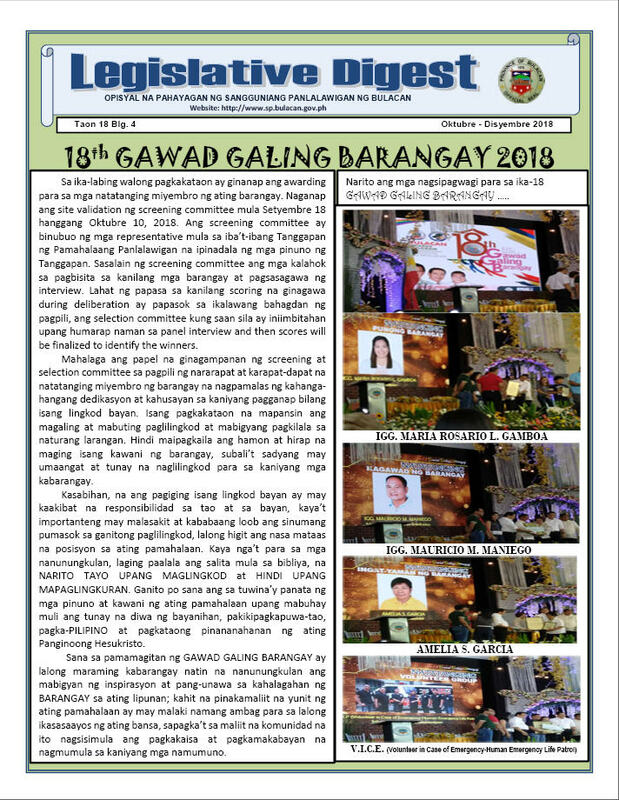 Since then, this simple computer-generated newsletter has been a considerable part of the Sangguniang Panlalawigan in the reporting of its accomplishments and achievements. 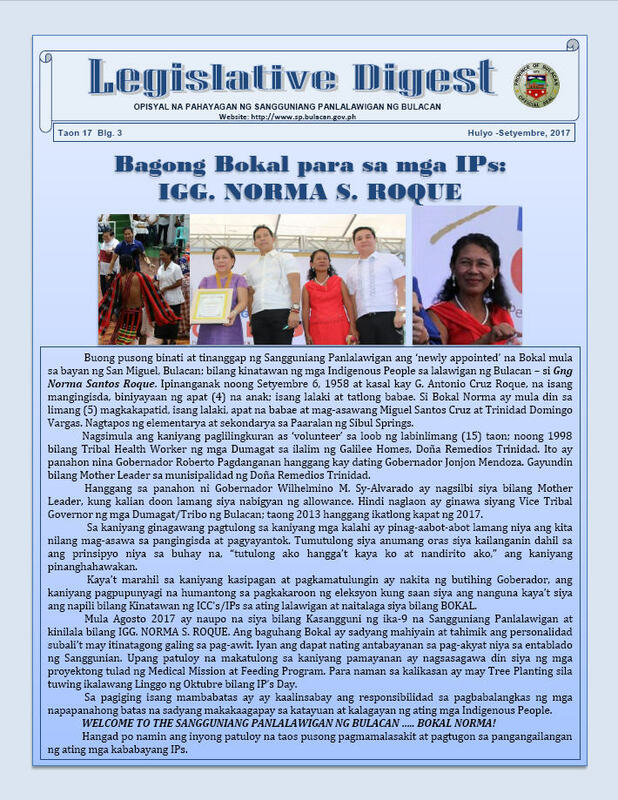 Incidentally, the Legislative Digest was cited in the book "Local Legislators' Toolkit"1, a significant publication of the Philippines-Canada Local Government Support Program (LGSP) intended for the use of sanggunian or legislative bodies of local government units at all levels, barangay, municipal, city and province, to help local legislators understand their role better and perform their tasks more efficiently and effectively.